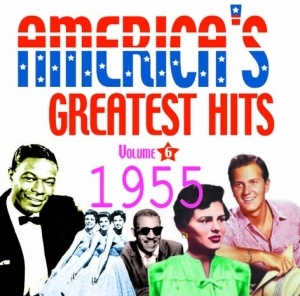 This highly successful series moves on into 1955 and continues to show the wonderful diversity of acts that entered the American charts, Frank Sinatra, Bill Haley, Mitch Miller and Perez Prado all sit happily together with Pat Boone, The Four Aces and the Fontane Sisters- a truly eclectic mix that will appeal to everyone. Bill Haley?s inclusion was a hint of what was to come, and with the emergence of Elvis in this year , popular music was about to change forever, and along with the music ? life was never to be the same again.